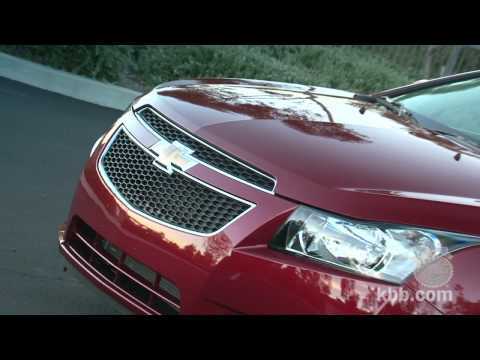 The 2011 Chevrolet Cruze is a well-executed blend of fuel-efficiency, design, refinement and performance wrapped in an affordable, compact sedan package. Perfect reliable affordable family car. I love my Chevy Cruze. It is reliable and dependable. It gets great gas mileage. It has plenty of space for me and my kids and has enough truck space to fit sports equipment, groceries or suitcases for trips. It has back up sensors which I love, they've saved me from backing into lower things I can not see in the mirrors. It also has remote start which I am not sure how I ever lived without. It is wonderful on a winter morning to be able to start my car and have it defrosting the windows without ever having to leave the warmth of the house. The Chevy cruze has been a perfect car for me and my family we've had it for years and it still runs and look as great as it did the day we got it. Horrible piece of junk, worst car I have ever had! It is a complete piece of junk, I have had it for 4 months and have put 100s in it and now I need to put several hundred more, garbage, worst car I have ever had. It is needing a ignition coil, spark plugs, a wheel bearing, the traction control is all screwed up, it has a gas leak, and an oil leak, and god only knows what else. The whole car is garbage, it is misfiring and is stalling all the time. It only has 138, 000 miles on it and is the worst purchase I have ever made. The speakers for the radio are junk, the Bluetooth hookup is garbage and the cruise control never worked. I have always bought Chevrolet's, but after this experience, never again. It is a complete pile of junk.